A number of brands showing at Paperworld have presented interactive and customisable stationery products this year. 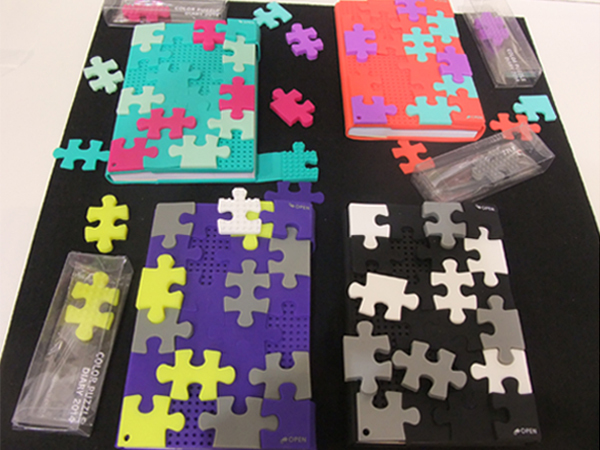 Marks’ silicone notebooks, shown above, allow the user to generate their own pattern and colour sequences by moving around the puzzle pieces. 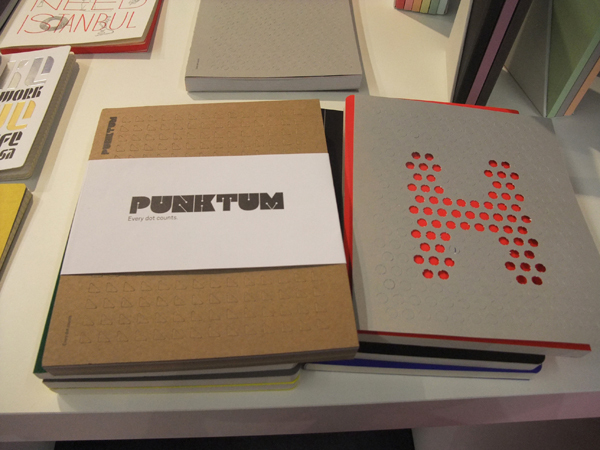 Punktum: Every Dot Counts, a range by Happilyeverpaper, allows the user to punch out their own personal message from the hole punched card. 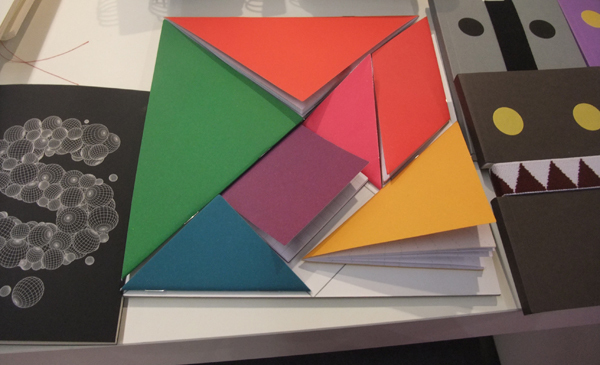 Shape of My Art, also by Happilyeverpaper, is a collection of seven angular notebooks which fit together like a puzzle. 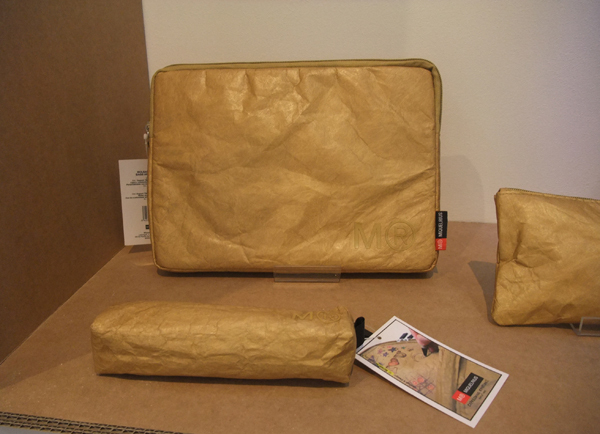 Miquelrius’ new tablet case and pencil case range is geared to the teen market. Made from durable and water-resistant paper, the surface can be customized with doodles and notes. Subscribers can see our full coverage from the show early next week.